Somewhere in my second novel, The Deep Field, there’s a description of an alien fossil found on Mars, and the instinctual revulsion it provokes from humans. When I wrote it I was interested in evoking something of the feeling of visceral wrongness we tend to feel confronted by images of insect life enlarged. The winners of this year’s Olympus Bioscapes Award, which celebrates the best of microscopic photography, are things of beauty, not horror, but that sense of alienness is still there, shot through this time with both wonder and something like the unnatural vividity and fleshiness of orchids. 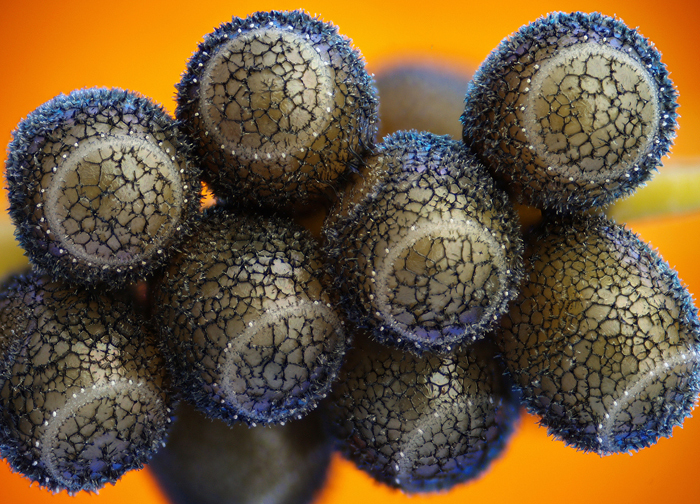 The image above, which took sixth place, is by Haris Antonopoulos, and shows stink bug eggs, but you can check out a gallery of the winners and honourable mentions, together with videos and more information on the competition website.